How to Manage 5 of the Hardest Challenges Recruiters Deal With - Send and Receive Automated Call and SMS Text Campaigns. Every profession poses different challenges in varying degrees of difficulty, and as a recruiter, you must face each of them with the right attitude while armed with a set of highly efficient methods for your recruiting attempts to become successful. Despite this favorable strategy, not everybody knows how to execute them properly. To help you find the best solutions, we must turn to real-world experiences so that you can better relate to them as we try to uncover what recruiters and hiring managers say their top recruiting challenges are. Only then could we find the answers on how to remove them from the recruitment process permanently. According to the State of HR in the Philippines report of 2018, recruitment takes the most time in business operations and is the second biggest pain point in HR, with the handling of complaints, employee conduct, and lawsuits being the first. This is actually an improvement after being voted as the number one pain point back in 2017 but taking second place this year doesn’t make it any better. This proves that there really is a great need to streamline the recruitment process, so let’s try to apply the best solutions by going through testimonials from real recruiters who have been facing these challenges on a regular basis. This is one of the most common challenges that face recruiters throughout their careers, and there might be one reason you are having a tough time making it work—your recruiting strategy is obsolete. The recruitment game has evolved immensely since the tech revolution, so job seekers aren’t going over the classified ads section on spreadsheets anymore just to look for work. There are several channels you can utilize to broaden your reach in finding quality candidates. You also must eliminate a one-size-fits-all screening process to make faster and more informed decisions on hiring candidates, which could be made easier through an automated social media chat app or an interactive voice response system to schedule their interviews. If you don’t have a streamlined procedure where you can effectively save time and effort in managing the recruitment process, you will most likely miss out on hiring good candidates. This is the reason you should not waste all your available resources and avoid making your candidates wait too long just to find out if they made the cut and are qualified to move onto the next stage. They will be more inclined to look somewhere else where they are given more importance. All this can be resolved through an automated scheduler with an applicant tracking system, which could be better if integrated into any mobile device for more convenience. No more skipping on potentially good candidates if your schedule is on point. Job seekers who are actively seeking employment opportunities are a lot easier to reach than passive candidates who are highly qualified but need to be deliberately sought out by recruiters. These passive candidates often possess skills that are in high demand, therefore making it more difficult to recruit them. Even if it is relatively easier to go through active job seekers, it’s always worth the effort to seek out passive candidates for the sheer likelihood of landing a quality hire than those from the pool of active candidates. The initial screening process should be automated to forego this step for faster processing. Also, finding passive candidates shouldn’t be as tough with a good referral system in place. “Relocation issues” – Ashwini Chauhan, HR Executive, Bharti Soft Tech Pvt. Ltd. Many jobs require employees to work in far-flung places where they will be away from home for months at a time. This could be a huge issue for recruiters who have a slew of candidates who think working in remote areas isn’t for them, which is mostly made up of parents who refuse to be away from their family. An automated pre-screening system could save you a lot of time by immediately knowing which applicants are qualified and are open for relocation. If you notice, all these recruitment challenges could be a whole lot easier to deal with if there was a highly effective automated system in place. This will definitely cut whatever process you have short to streamline your operation while expanding your reach. Unfortunately, there are still major processes in the HR system that are done manually. Unless you get a kick out of antiquated methods, this isn’t recommended since it slows everything down. 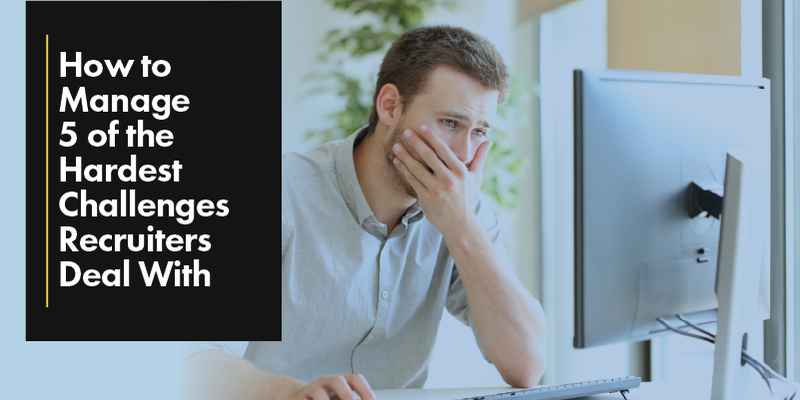 201 files – Surprisingly, 69.3% of the respondents are still managing their 201 files manually versus 29.3% even with tech help from the Human Resource Information System (HRIS). Leave management – Almost half (48.7%) still do their company’s leave management system manually while 47.3% of them are already onboard HRIS. Timekeeping – Even with readily available tech, more respondents still do timekeeping manually at 48% versus those who use an automated device (45.3%) such as biometrics. Applicant tracking – A huge 70.7% are still not utilizing an applicant tracking system to automate applicant management, so they all do them manually. Employee performance – Almost all respondents are still doing performance management manually at a massive 87.3%, with only 12.7% on HRIS. Generally, most respondents at 85.3% would prefer everything automated, which makes total sense, with only 11.3% who still want them manual probably because they’re just so used to the system. Fortunately, recruiters can take advantage of different technology now available to assist them in the recruitment process. There are existing systems that can effectively cover almost all the issues presented in the recruitment processes mentioned above, with one that can strategically generate quality leads, prescreen them in an instant, and track them for a measurable return on investment like that of our applicantENGAGE automated solutions. With the role of HR growing through the years, it’s only prudent that technology is utilized to make sure automation plays a key role in helping your company successfully complete the grueling tasks involved in recruitment, timekeeping, and payroll. And with the right system in place, you are set to contribute a substantial amount of good to your organization.